It’s Burns Day 2019 as I type, which means 11 years ago to this day, I met the man I would marry and have my babies with. We met at a crowded and fun house party, I saw him across the room and knew instantly we would be great friends. His energy was infectious. 11 years on and of course I have seen all of his sides. His incredible energy, his shy and quiet side, his caring and loyal side, his flaws and strengths. We were doing a little exercise for my life coach, Emma D recently, and she asked us to write what we enjoy doing most together. Of course, family time is precious, but we both instantly said being in the spa kiddie free. Often when we are with the kids, we don’t get a word in which means we don’t really get to have a conversation. It’s all about them. Life can be so busy, so frantic, often fun but with young kids and work commitments, that energy Hubs had that first night, 11 years ago isn’t always there. Mine isn’t always either. I found the exercise really useful, to think of ways and places that we get that energy back. I have written a lot about mindfulness and am exploring it on a much deeper level this year. With this in mind, I have been thinking about our senses. Smell and touch are huge when it comes to creating mindful moments, either with a loved one or alone. 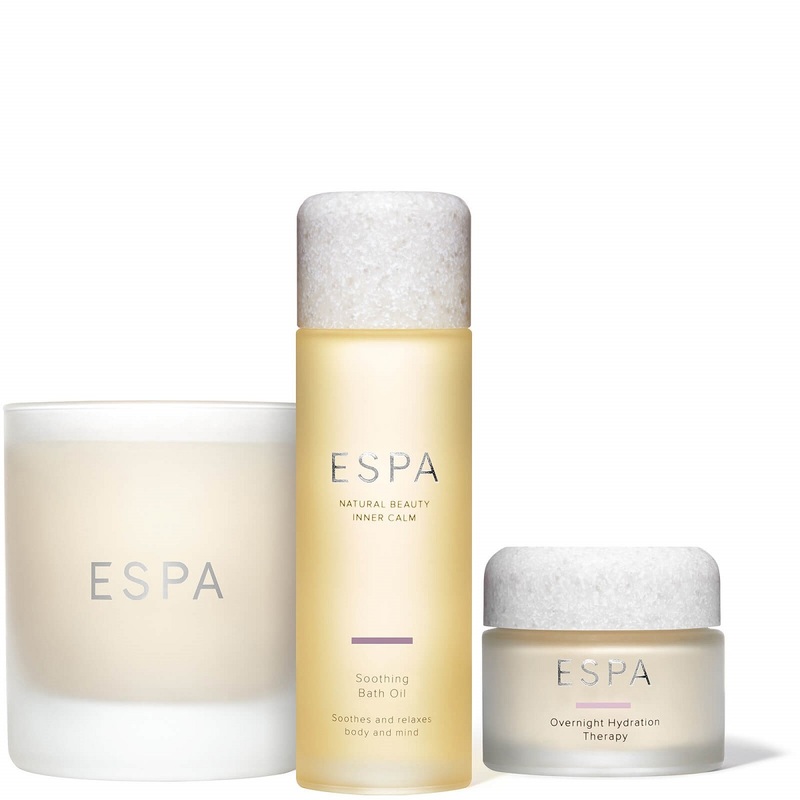 In March 2010, Hubs and I discovered a brand called ESPA and we fell in love with it. In fact I love ESPA so much that it crops up in chapter 3 of my book, and this chapter has been a firm favourite of many. They create the most magical essential oils and stunning shower gels and skincare. Some of the oils are uplifting, some are great for fitness, some are detoxifying and restorative. The only oil I didn’t fall so in love with was the fragrance-free oil I was offered when going for pregnancy massages. I think that touch is enjoyed even more with the perfect scent. 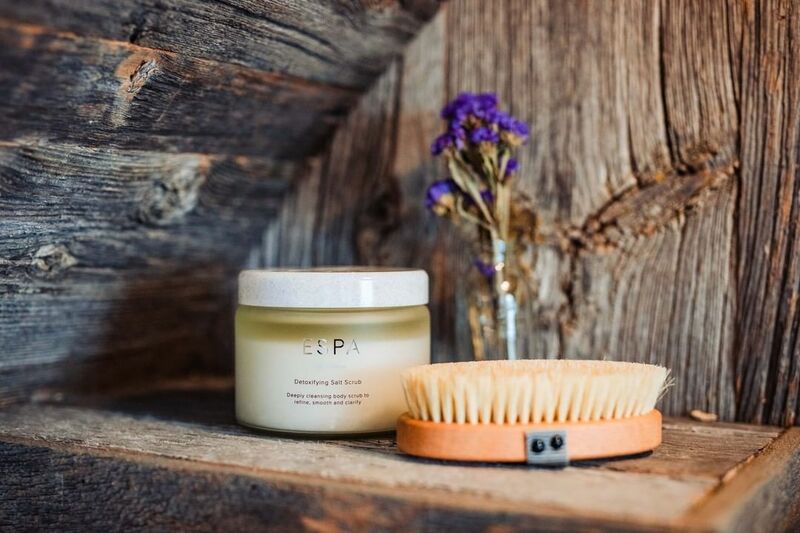 To me, it’s the ESPA scents that are created that make us keep going back for more. Be it the oil salt scrub and candles for our baths (mostly we take them alone these days because finding the time is hard). I was recently, very kindly, gifted the collection of body oils and my all-time favourite Energising shower gel, which I call my morning mojo injection. I use the oils a lot at home (you may have spied in some stories) and even let the kids try them out on their pressure points. I am all for getting both kids into the spa way of living early on and I love having a spa bath at home with them too. I utterly adore this shot of them in Croatia last year. A few drops of essential oils in the bath do the world of good to the senses instantly, calming us down from a frantic day. Sometimes I use a guided meditation app in the bath if it has been a really busy day or if I need some focus before a big speaking event. I also love a motivational podcast (note mine are starting up again very soon – thanks to those who have asked and said they are missing them). I enjoyed both an incredible facial and massage in the lovely treatment room at Harvey Nicks, Edinburgh recently. It can be so hard to take the time, but it’s always worth it. I think it’s important to listen to our bodies too. My skin gets really dry and dehydrated in the winter and my shoulders get really tight from all the time I spend hunched over on the laptop writing. I like the mantra – Love your body and it shall love you back. Also, a huge bonus is that you can reclaim stunning products against treatments. A massive incentive. I love the events that ESPA do with Harvey Nichols. I shall be attending this meditation with mindful Edinburgh event in March and am really looking forward to it. Let me know if you plan to come (you can reclaim the ticket price on beautiful products). I really love the idea of meditation with essential oils and know it will add to the experience. Maybe I can get Hubs to come along with me. Either way, after our haggis tonight I intend on getting the essential oils out. Happy Burns day to you. Previous Post GIVEAWAY – lose weight, eat beautiful homemade plant based food with no cooking or dishes!